A seemingly random piece out of output in a test suite led to some investigation work for Chris Arcand. What was causing this odd output? The developer of Brakeman recently decided to include all of his gem’s dependencies within the gem. Why, how, and what are the pros and cons of this approach? Build your app in the right way and Heroku scales well, but there are some important things to consider. If you Ruby process has totally stopped doing any work, what’s going on? Sidekiq’s creator provides some tips to get started on investigating the cause. An ActiveRecord plugin providing ‘soft delete’ functionality so that ‘deleted’ items can be restored. It’s been around for years but 0.5 is now out with Rails 5 support. Scratching the surface of some of the techniques that can be employed in Rails to improve overall security. 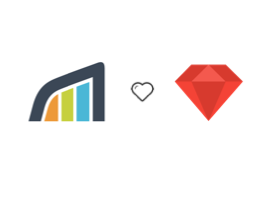 Comparing Phoenix and Rails’ real-time performance. Looking at unexpected behavior in URI.join. .. on iOS, tvOS, and macOS. Timed semaphores allow a certain number of permits in a given timeframe. A ‘security scenario generator’ for learning security penetration techniques.